Have a big crowd coming over for Thanksgiving but nowhere for them to sit? Tired of having to pull the piano bench and step stool up to the table? Bryant Park can help. The Bryant Park Shop has 4,000 bistro chairs and 800 cafe tables available for rent, the perfect seating for your holiday meal. 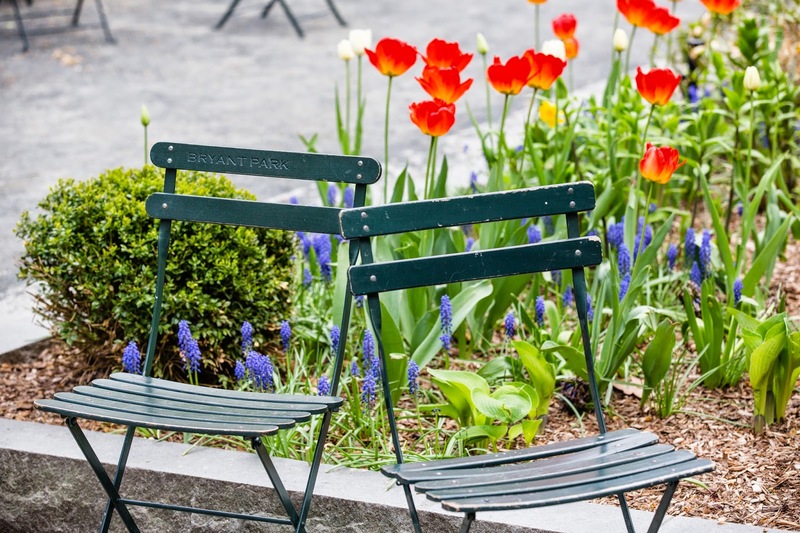 The chairs are light and easily movable, sophisticated, and comfortable - just ask any of the thousands of people each day who spend hours sitting on them in the park! The bistro chairs will be a great conversation topic for you and your guests. And, even better - it will be one less thing you need to worry about when the bird's in the oven and the potatoes need mashing. Prices vary depending on the quantity ordered, so please email bpshop@urbanmgt.com for more information about availability and pricing.